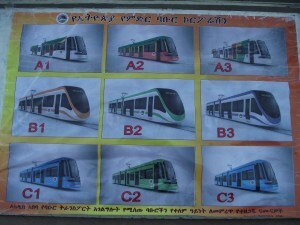 Addis Ababa is transforming fast! Amid the real state construction business frenzy the infrastructure work is in full speed. Against all odds Addis Ababa is looking like any other city in the world. Gone are or will be soon the days were Addis Ababa was synonymous with shanty town. Glory to all the hard working people who have been laboring everyday to change the city. Listen to the following interview with Eng Behailu. Leave your choice of color below and you will be heard. After a long protracted diplomatic war and after overcoming many obstacles Egypt had placed to stop Ethiopia from harnessing its natural resources over the last few decades, Ethiopia is almost there to convince Egypt the old way is a no way. Ethiopia and the oth er Nile riparian countries have started to use any river that flow in to the Nile with little effect on Egypt and Sudan. Sudan has for a while accepted Ethiopia’s current project along the Blue Nile as a pro growth development and a plus for Sudan’s economy. On the other side Egypt despite facing a gruesome internal conflict that is consuming many people’s lives, it has been trying to foment yet another internal conflict in Ethiopia(see the now defunct government of president Morsi public secret ). However lately the new military backed government of Egypt is ready to negotiate with Ethiopia on the Renaissance Dam that is being built on the Blue Nile at full speed. Although Egypt’s negotiating card is not fully known it may include having a resident engineer at the site at all times, slowing the filling of the dam from a planned of six years and may be part ownership of the dam. Regardless what the negotiating terms are and will be should Ethiopia at all allow foreign countries to have a say in the building of the dam? 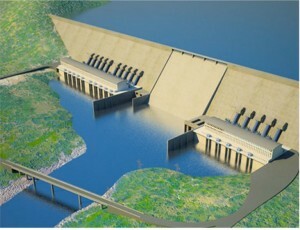 Should Ethiopia limit Egypt and Sudan involvement in the building of the Dam beyond allowing them to review periodically the technical aspect of the Dam? Even though the water flow to Egypt will not decrease that much due to the Dam should Ethiopia allow Egypt to have a say on the amount of water flow? Have Your say.